Are you looking for Cessna flight and pilot training from a reliable training center. You’ll be glad to know that you’ll get the training courses you need from instructors you can trust when you partner with us. We’re well known in the aviation community and all of our courses are approved by major carriers. You can rest assured that you’ll have a fantastic experience from the minute you walk through our doors. 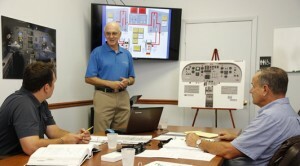 Our instructors have thousands of hours of experience. Whether you want to fly for pleasure or business, we can help. Call us today to learn to fly. You’ll be glad you did. One on one training is available from our instructors. You’ll feel 100% confident under their tutelage. Our training platform is safe and dependable. You’ll be glad to know that if you’re visiting us from out of the area we can help you secure a special rate on a rental car and hotel accommodations. You see, when you schedule your training with us, you’ll get a fantastic value all around. You deserve the best Cessna pilot training and that’s exactly what you’ll get from us. Call us today to sign up for one of our many training courses. You’ll be in capable hands when you learn to fly with us. Florida’s friendly skies are a beautiful place to become a pilot year round. We look forward to hearing from you today. One of our friendly staff members will be happy to answer any questions you may have.